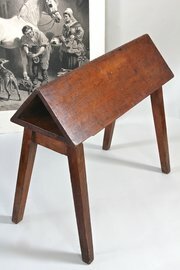 Description19th century pine campaign saddle stand. 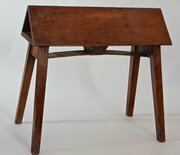 Made by the Army & Navy Co-operative Society Ltd, it has survived its travels remarkably well. It has a clever sprung central lath, held by brass catches, that allows it to fold for travelling. It is stamped 'A & N. C.S.L Makers P3'. 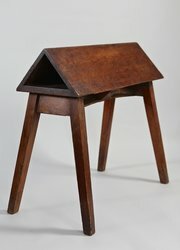 In very good condition, with a nutty waxed surface, this little saddle stand is classic and elegant. Circa 1890.